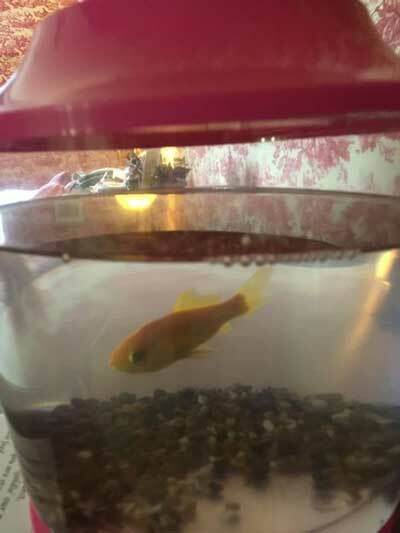 The last goldfish living in a hotel is to be moved out following complaints from customers. But Tim Howard, manager of the Judges Country House Hotel at Kirklevington, near Yarm, North Yorkshire, says he has had many more complaints from guests who miss the fish. Some clients from the Middle East and Germany even used to ask for their own specific, named fish after staying in the four red star hotel and have expressed disappointment that they have been moved to spacious external tanks. Only one goldfish still remains in a room at the 21-bedroom hotel after the hotel received five complaints in 13 years. 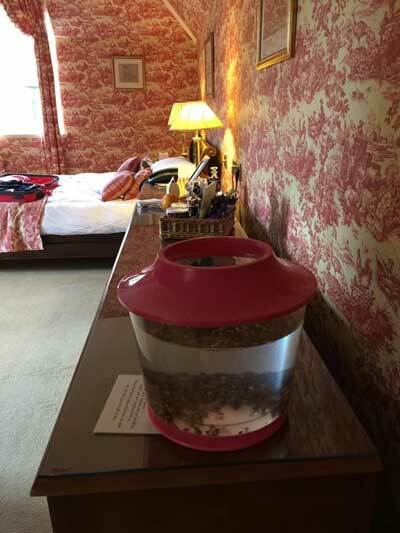 Each fish had his or her own name and customers were asked to feed the creatures in an attempt to give a homely feel to the hotel experience. But now one customer has complained to Stockton Borough Council about the last remaining goldfish and when that fish grows bigger it will also be moved to the external tanks. The complainant was Fiona Wallace, who became concerned when her friend, who stayed in the hotel on Tuesday night, posted a picture of the fish on Facebook. The goldfish, which she didn't name, was blowing bubbles, which Ms Wallace explained meant it didn't have enough oxygen. "I don't know if it's acceptable or not to have fish in the room, but I just though the hotel must have a duty of care and thought I'd call the council and make sure they were all right." A spokesman for the council said that the authority had offered advice to the hotel three years ago. 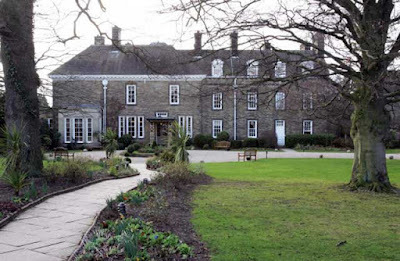 He said: "Although the council has no powers to stop this practice, officers from our Animal Welfare team will be seeking further details from the complainant and the hotel.” Mr Howard of Judges Hotel said all staff took their role looking after animals and fish "extremely seriously" and advice was often sought from the RSPCA, suppliers, environmental health and many other bodies. For every negative comment they had received about the goldfish they had a hundred positive ones, he added. He said: "I remember a group of really high-powered German businessmen who had been doing this big deal on Teesside, all they could talk about was the goldfish and what each other's fish was called. But it could get a bit bothersome. For example, in Spain it's apparently bad luck to have a fish in your room so we would have to remove them temporarily. Some people said they looked a bit lonely and we got other fish to go in the tanks, only for them to attack each other. In the end we decided to phase them out in our big external tanks. Just the other day a heron was spotted and we had to put netting over the tanks." Those tanks are way-way too small for fish even of their current size.